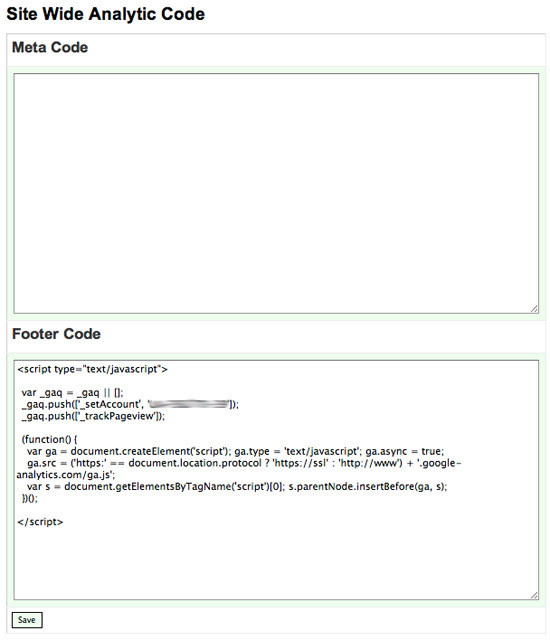 Whatever code you place into the footer box on the Analytics page will go above the closing tag on every page of your site. Usually this is the location in your site where Analytics services ask you to paste a block of code so they can help you to track your site's visitors. The analytics service that you use is your choice. We suggest the free Google Analytics service if you have not made arrangements with any other service yet. You can paste any browser (Google, Yahoo, Bing, etc.) 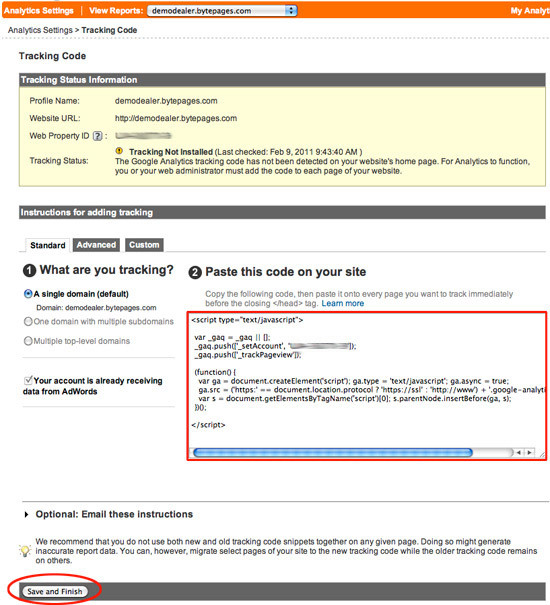 verification meta tags into the Meta Code box at the top of the Analytics page. Only paste site-wide meta tags that should be on every page into this box. Unique page meta keywords and meta descriptions should be placed in the proper seo fields on the 'Define' screens for those particular pages. Do not just paste keywords or text into these boxes. These boxes are meant for html-formatted meta tags or scripts only. Save this screen, then go back to your Google Anayltics account and click the "Save and Finish" button at the bottom to let Google know that you've placed the code onto your site. You can expect to see analytics results, usually within 24-48 hours from that time.